Product code: R829 Categories: Sold Items, Sold Rings. 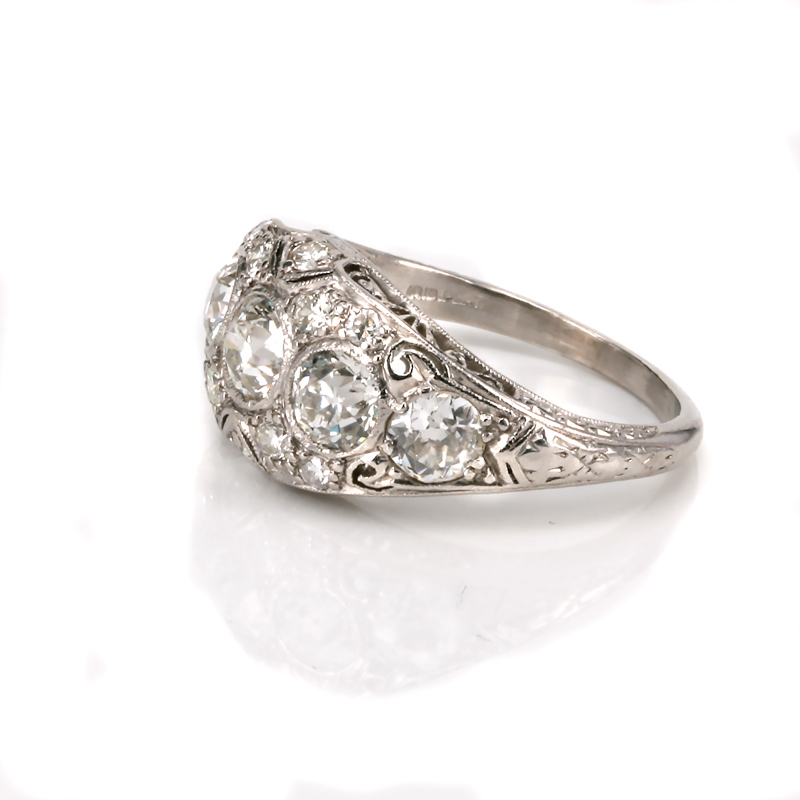 Since 1837 Tiffany & Co has made a name for itself as one of the leading jewellers of the world, and here is a stunning original hand made platinum Art Deco Tiffany ring dating from the 1930’s. There is nothing quite like a genuine Art Deco diamond ring on your finger, and having one by Tiffany & Co really does make it that much more special and exciting. 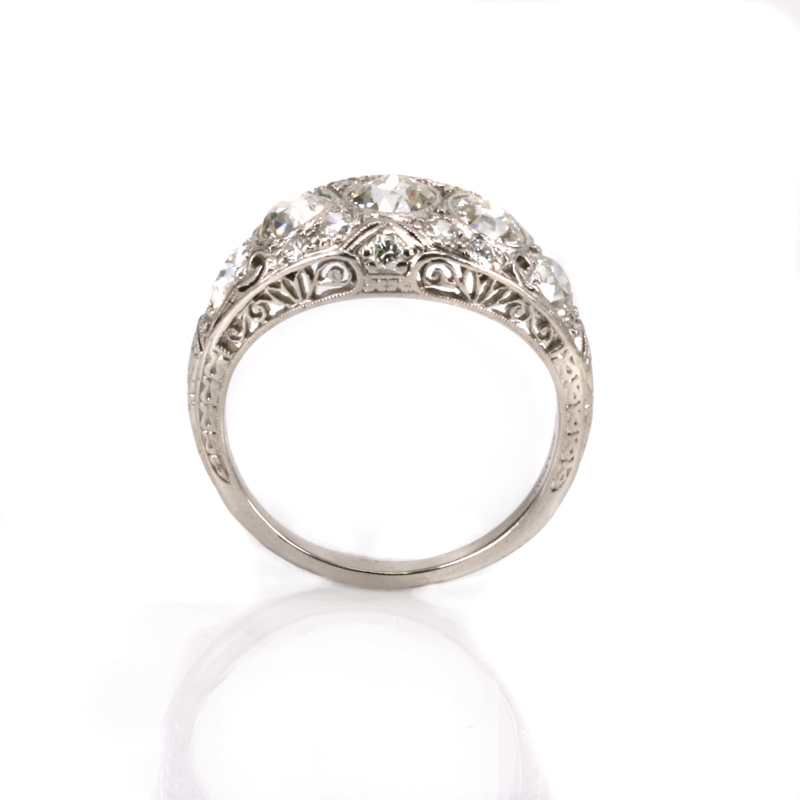 Beautifully hand made entirely in platinum in the fabulous Art Deco era, this ring has been so exquisitely made to showcase not only the diamonds that the superb quality of work one would expect from Tiffany. Set with five main diamonds that total 1.88 carats, there are an additional ten diamonds with a total weight of 0.37 carats bringing the total diamond weight to 2.25 carats. With such fine detail that can only be done when made in platinum, the intricate pierce working and milgrain finish to the settings are all typical hallmarks of jewellery from the Art Deco era. Measuring 10.6mm wide at the centre, the ring has a subtle yet defined curve to the top allowing this ring to sit perfectly on any finger and would also make a superb diamond engagement ring. 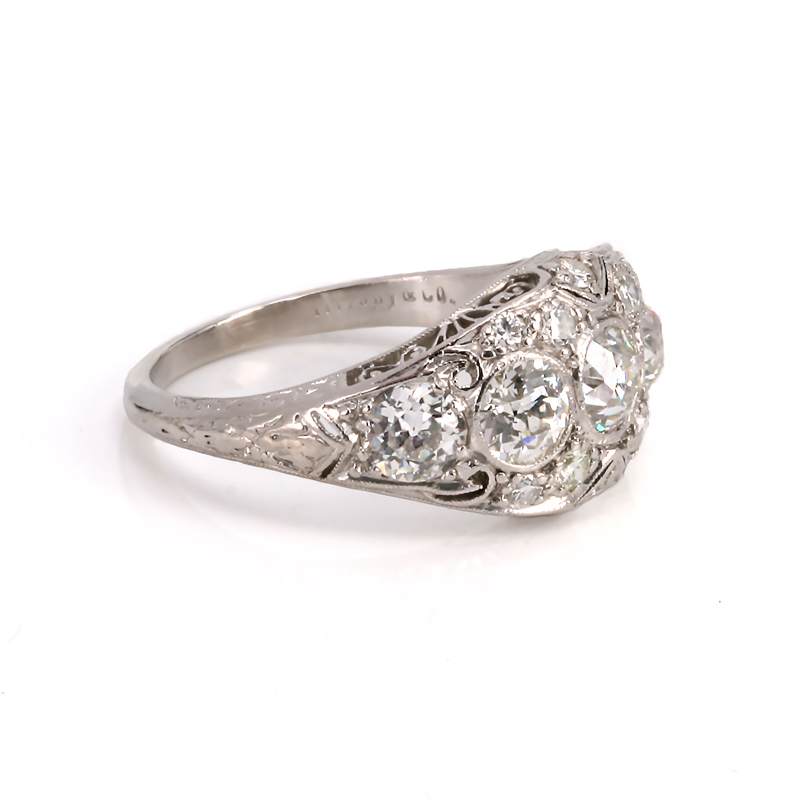 Tiffany & Co are still a wonderful jewellery company and what could be better than having a genuine Art Deco Tiffany & Co diamond ring adorning your finger.